Imagine a world where you could become anyone or anything with the push of a button. Years of expertise, a lifetime of memories, skills, thoughts, and beliefs all become yours in an instant. The catch? You have to give up your life, your freedom, and your ability to choose for it to happen. Serving a two-fold purpose, this facility aims to help people who are desperate for a solution to their lives' problems, as well as providing specialized services for high-rolling clients. Potential dolls sign on for a five-year commitment, during which time their memories are wiped, transforming them into complacent, brainless beings. When a client has a need, the dolls are uploaded with a specific personality, filled with all the necessary memories, skills, etc. to create the needed "encounter." Along with the obvious moral and ethical questions this practice raises, there is something even more nefarious going on below the surface. Combine that with a rogue doll who somehow maintained all encounter memories and has gone crazy, an FBI agent intent on unraveling the Dollhouse, and an exceptional young woman who evolves beyond being a doll, and the show is one thrilling ride. Much like Firefly, however, Dollhouse was short-lived, being cut after its second season by Fox. There are likely many reasons why viewership was low and the show was cancelled, but in my opinion one of the largest contributors was timing. The show was launched in 2009, a time when streaming was beginning to take off, cable television was declining in popularity, and online promotion for new shows wasn’t quite as big a deal as it is now. With fewer people watching cable and minimal online advertising, the reach and hype generated for the show wasn’t as big as it could have been. 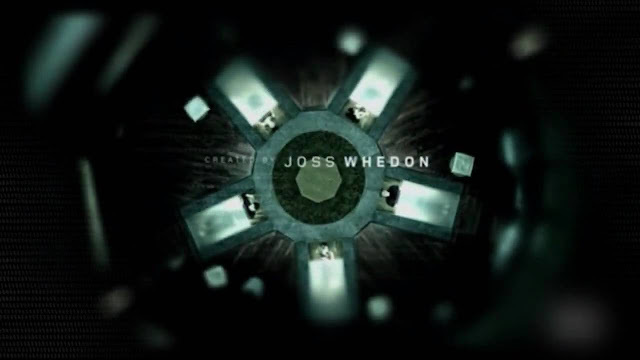 Since its cancellation, the show has increased in popularity, but not as quickly or expansively as Whedon’s Firefly. While Firefly is in a category all on its own, and therefore cannot be used as a comparison, it is safe to say Dollhouse is incredibly underrated. 5) The premise is absolutely fascinating. Moral and ethical dilemmas always make for the most interesting and enthralling stories because they force us into areas of discomfort. They challenge us to question our own views and often lead us to discover deeper shades of grey in issues we originally believed to be black and white. It would be easy to paint the Dollhouse immediately as evil and manipulative, but the idea that the dolls willingly sign up makes it seem less so. Fans of Whedon know things are rarely as they appear to be in his work, so right off the bat you know something deeper and darker must be going on. The idea of being able to upload entire personalities, memories, and histories to your mind is also quite enticing. The sky could be the limit of what we could do and learn. You could be a powerful, driven lawyer one day, a secret agent the next, a fashion model, a pro athlete, you name it! But is it worth having your own personality wiped first? You never know what you are going to get with any episode. There are so many twists and plot lines going on that you’re constantly left trying to figure things out, and not in a bad way. Early on, you discover that random side characters turn out to be dolls, placed strategically to further the goals of the Dollhouse. Woven within the plot of each episode are hints and nudges bubbling along that indicate something bigger and deeper is going on--something of which even those in charge are not aware. And of course, there’s Alpha, the mystery rogue active who is obsessed with the main character Echo and enjoys terrorizing the Dollhouse. Why is he so enthralled with her? What is it about her that she was the only one spared when Alpha went on his killing spree? Topher is the lead tech for the Dollhouse, responsible for creating the individual personalities for the actives' encounters and monitoring their mental performance. 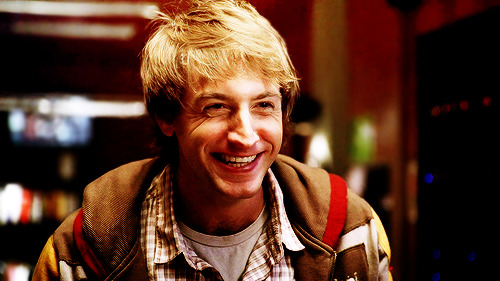 Played by actor Fran Kranz, Topher is one of the few constants within the show with regards to personality and character. However, being a ‘real’ person doesn’t free Topher from being a curious character. His lack of moral or ethical concerns for what they are doing is almost as appalling as his callous treatment of the dolls. While he is never outright horrible to them, he does treat the dolls very much like a human treats the ants beneath our feet. However, like any good character, there is a depth to him that only reveals itself as the series goes on. While initially you love to hate and hate to love him, he begins to grow on you as the storyline proceeds. He’s quirky, fun, and a little sad and lonely. And though he acts like he’s got it all together, there is a sadness to him that has you hoping he finds true fulfillment at some point in the series. The cast selected to play the dolls is incredible. Every episode, for most of them, means a completely different character, with different personalities, capabilities, and missions. Whether playing a deadly assassin, a hopeful and excited wife, an adventurer, a horny college student, or a negotiator, these actors showcase an incredible level of skill and attention to their craft. The show features two actors fairly new to the scene at the time-- Enver Gjokaj (Victor) and Dichen Lachman (Sierra)--both of whom do an incredible job providing depth to characters who are supposed to be blank and vapid. 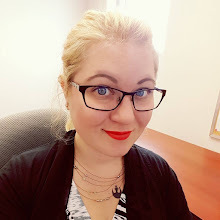 You find yourself connected to these people who aren’t even people at this point, and realize that who they are as dolls is very different from who they are in real life. Eliza Dushku is brilliant in pretty much everything she does. For me, that kind of seals the deal. Have you watched Dollhouse? If so, do you agree it’s underrated? Why or why not?